Is the search giant’s China firestorm a smokescreen for a far larger problem? 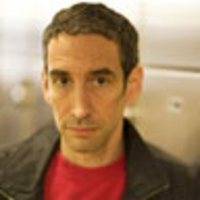 Douglas Rushkoff on how your entire life, as stored on Google’s servers, may now be there for the taking. Google's actions just don't add up. In response to what they say they suspect was a Chinese government-supported cyberattack, including hacking into the Gmail accounts of human-rights activists, the search giant says it has had a change of heart about censoring Google results on behalf of the Chinese regime and may instead leave the country. Which logically makes about as much logical sense as invading Iraq in retaliation for the 9/11 attacks. And probably hides just as much real information about what the heck is actually going on. My fear—for Google and for us—is that the reason they know it’s the Chinese government behind these attacks is because Google gave them the key. If accepted at face value, Google's argument now—in a reversal of a policy it put in place five years ago—is that it wants to be a staunch defender of "free speech on the Web." Instead of cooperating with the Chinese government's repression of its people, Google now demands that China let it be Google—the relatively totally open corporate-owned index to the Web. • Gerald Posner: China’s Secret Cyberterrorism But then why the sudden wakeup call? In this scenario, it's because Google realizes it is in bed with the bad guys. It has supported the actions of a regime that eventually turned on its online facilitator, Google. So Google is saying it is fine with repressive regimes as long as they don't repress Google without the company's knowledge. No, that's even too stupid for a corporate communications department to imply. Which, to me, means there's more going on. The first and most likely possibility is that Google is attempting to create a distraction. From what? From the fact that some Chinese hackers broke into their servers and gained access to what was supposed to be secure private and corporate data. Get it? That means none of our stuff on Google's servers is safe. Now this would be a big deal—especially for those of us who have already bought into Google's halcyon promise of a secure, always on, and always accessible "cloud" in which to do our computing. The company's bid to lure us out of our locally run Microsoft Office suites and off our closed corporate mail servers loses more than a bit of its luster. The cloud is still really just a bunch of servers, owned by someone or something, whose decisions and competence must be trusted. This applies to everything from Google Docs to Gmail: Putting our data out there really means putting it "out there." For the first time, many of us Google converts feel like the cloud, where Google wants us to organize our personal and professional digital lives, is less secure than that encrypted hard drive under the desk. Instead of letting our minds even go there, Google blames the government. At least the Chinese government sounds big and scary and qualified enough to break into a few corporate servers—and surely they wouldn't be interested in any of America's companies or users. If they did, well, that would be real war. If it's true, at least it's something we can get our heads around and go to the United Nations and complain about. But Google says it has some genuine reasons for believing that the Chinese government was involved in these attacks, and the international investigation now under way will reveal whether that evidence is legitimate, soon enough. So the biggest question becomes, why does Google believe its partner in repression—the Chinese government—is behind this violation of Chinese activists' and others' online privacy? So it's not that Google's cloud computing technology is so easily hackable, it's that Google's misguided partnership with a repressive regime is so easily exploitable. My concern—for Google and for us—is that the reason they know it's the Chinese government behind these attacks is because Google may have inadvertently given them the key. At least a conspiracy theory, in which Google willingly gave the Chinese authority over its clients' communications, offers the comfort of there being some human agency in all this. Just as we prefer to find out that a single pilot was drunk than that there's a problem with every plane in the sky, it is easier to contend with the notion that Google's young executives made a stupid decision by engaging with dictators than to consider the alternative: that the cloud being entrusted with an increasing amount of our banking, business, and everything else, is the for the taking.